October Taste of Italy in Selsey! Taste of Italy in Selsey! 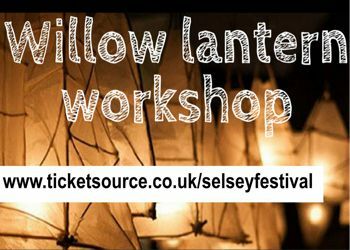 We're delighted to announce that Selsey Town Council's have arranged for two Willow Lantern Workshops in preparation for our Festive Lantern Parade. Join us on November 4th and November 11th from 2pm until 4pm at The Selsey Centre for an afternoon of Willow work to make your very own lantern ready for the parade. The event will be run by the team from Running Wild Forest School at only £3 per person, all materials will be provided and guidance given. Come and join the fun and get ready for our Lantern Parade on 25th November at 5pm, leaving from St. Peters Church.